I love it when two creative minds think alike, but with different results! On Wednesday, we had two bloggers feature the same pattern, and today, we have two bloggers featuring the same fabric pairing. Each puts their own spin on a beautiful creation. Using the Modkid Laguna and Perfect Leggings patterns, Cassy of Pear Berry Lane made some stand out separates. But, this isn't all she created. Visit her blog for 2 additional looks!! 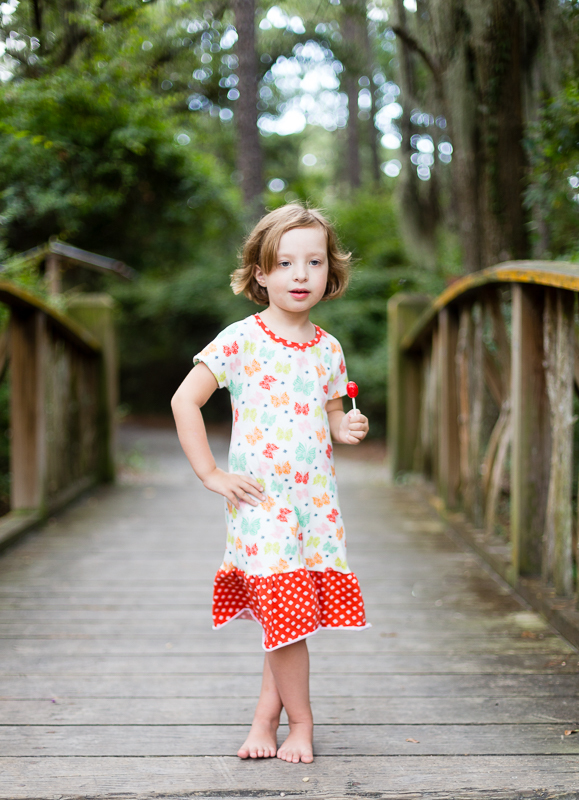 Shelly from Coral & Co. created a comfy and stylish dress with one of the Modkid paper patterns, the Penny. It's Friday! 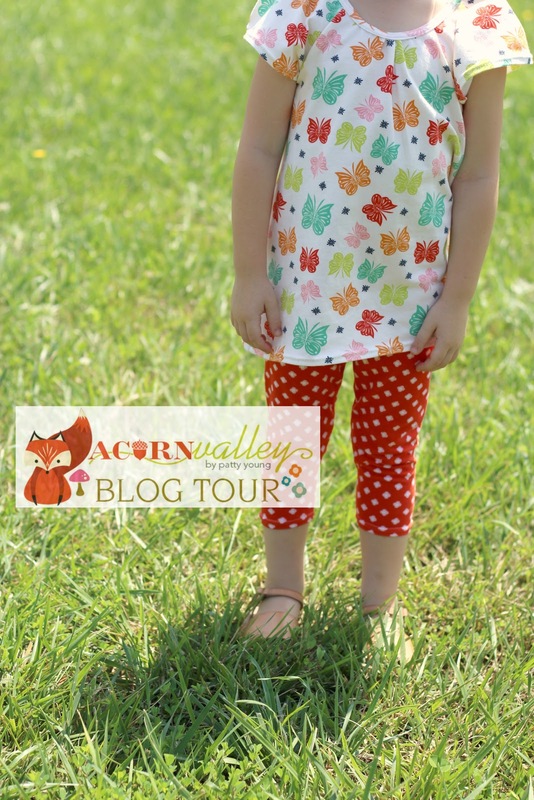 That means we are halfway through the Acorn Valley Blog tour. The good news is we will have plenty more inspiration next week! We'll also be featuring more than just clothing items from some of our bloggers. Stay tuned! !